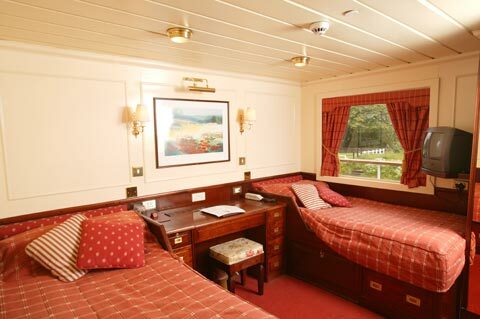 The 'MV Lord of the Glens' is a vessel with the elegant appeal of a luxury yacht with all-round teak-clad viewing and promenade decks and rich mahogany interiors. 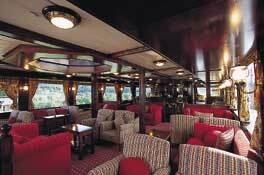 There are 27 luxury state-cabins accommodating 54 passengers, a bar, lounge and a restaurant which can accommodate up to 60 diners in one sitting. Medical: Since the vessel is never more than one hour from port and moors overnight - no medical facilities are available on board but can be obtained on-shore within minutes. Power Points: The voltage throughout the vessel is 220 with British three pinned plugs. Universal adapters are available from the reception. Dress: Dress is smart casual but a jacket is preferred for the formal receptions. Otherwise layered clothing is recommended since passengers have been surprised at the warmth of the vessel and the amount of sunshine encountered at these latitudes. 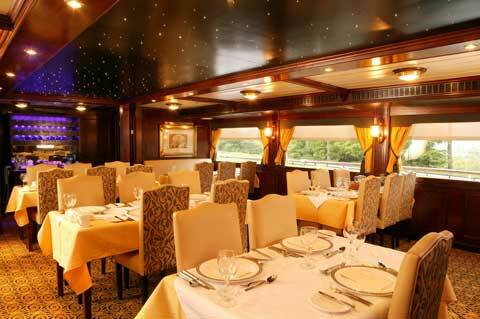 No Smoking: There are designated external areas reserved for smoking. 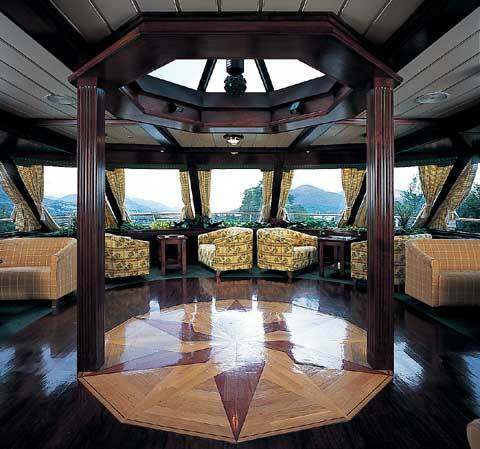 For safety and comfort reasons a 'non-smoking' regime exists throughout the vessel. 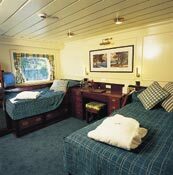 There are 27 luxury state-cabins accommodating 54 passengers each tastefully furnished in mahogany finishes, with dressing table and stool, hairdryer, satellite TV, individually controlled air-conditioning/heating, safe deposit box, music system, internal telephone and en suite facilities (shower, toilet, washbasin). In addition to the storage for suitcases under the beds there is a full size wardrobe. 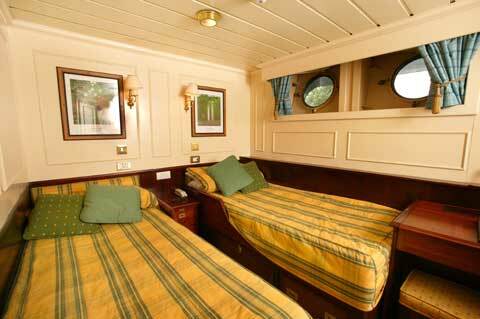 All cabins are outside facing with 23 having a large picture window (with tinted glass for extra privacy) and two with two large portholes each.